Berlin, Germany, March 2, 2011 – Axel Springer AG has acquired a 74.9 percent equity interest in the market leader for online brochures and mobile couponing, kaufDA (www.kaufda.de). Formed in 2009, the Berlin-based company offers retailers the ability to advertise their products and services in the mobile and stationary internet on a location-based service, making it possible for consumers to conveniently plan their shopping from home or away from home, using their mobile phones. Together with more than 80 partners and major internet companies like t-online.de and meinestadt.de, the kaufDA network reaches more than eleven million users in 12,000 German cities and towns. kaufDA already counts more than 120 large corporations as its customers. It offers Internet users access to brochures, special offers and opening hours of approximately 200,000 German retail outlets. Currently, kaufDA reaches eleven million Internet users, including one million by way of mobile apps for the iPhone, iPad and Android. kaufDA (http://www.kaufda.de) is “the star amongst location based services in Germany”, according to the July 2010 issue of ‘W&V.’ kaufDA offers users online leaflets on a daily basis to inform consumers about the latest shopping offers and the opening hours of various major retailers in their city. This wealth of information can be found easily at the click of a button, with users able to browse through and compare numerous local advertising-flyers. In just two years, German consumers have used kaufDA to actively open over 200 million digital leaflet pages, with kaufDA continuously providing the latest information on over 200,000 retail outlets in Germany. For the first time, kaufDA helps retail dealers to drive their sales volume by using the internet to contact consumers based locally in their region. In addition, kaufDA integrates the retailers’ offers into partnering sites like t-online.de, dastelefonbuch.de, meinestadt.de, immobilienscout24.de and suchen.de. Over the whole network consisting of more than 80 partnering sites, kaufDA reaches 11 million unique visitors each month. 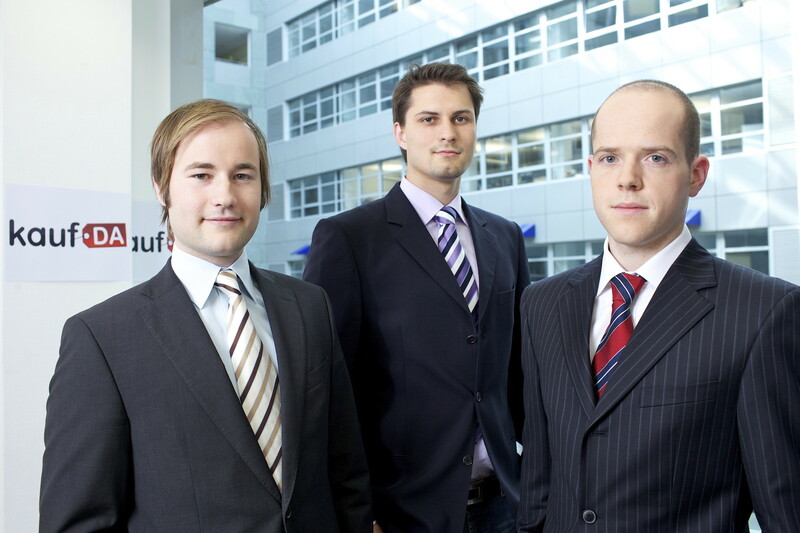 Until its acquisition by Axel Springer AG in March 2011, kaufDA was financed through Deutsche Telekom’s venture capital association T-Venture, as well as eVenture Capital Partners with the Otto Group, the world’s second largest e-commerce-dealer investor, and by its founding angel investors Michael Brehm, Dr. Stefan Glänzer and Stephan Schubert.